Nara Rohit’s forthcoming film Appatlo Okadundevadu completes the censor formalities and the movie has got U/A certificate from the board members. The movie is now slated for a release on December 30 for New Year. 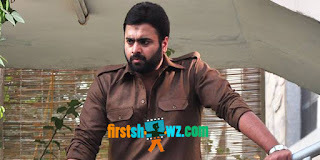 Appatlo Okadundevadu also features Nara Rohit, Tanya Hope and Sree Vishnu in central roles, while Brahmaji, Rajeev Kanakala, Ajay, Prabhas Srinu, Sreenivas Reddy, Satyadev, Sasha Singh are doing supporting roles. Appatlo Okadundevadu is directed by Sagar K Chandra and produced by Prashanti & Krishna Vijay under the banner of Aran Media Works with Sai Karthik as music composer and Naveen Yadav as cinematographer.